Summer has kicked into full gear here, and I’m quickly falling into my lifelong habit of juggling too many activities as though they where balls of fire. If only that pesky work thing and all the boring activities of daily life didn’t get in the way. Perhaps then I’d have time to sail, practice yoga, enjoy live music, dance, practice my oboe, preserve vegetables, share poetry, and take on even more new fun projects. But at some point, even I have to admit scaling back would be a good idea. So it’s time for a blog break. Thanks for reading and supporting. Keep following The JulieBook, and you’ll be the first to know when I have a new piece to share or am setting off on a new adventure. I aspire, like the Duke, to merely use the energy it takes to pout to write some blues. You prefer not to see the gears of the clock, as to better tell the time. —Erin Morgenstern, "The Night Circus"
Enter your email address to to follow this blog and receive an email when a new poem or post is available. The book is out—and it’s gorgeous! Inspiration Speaks, a collaboration between writers and artists, includes three of my poems. Get it online in print or ebook form. 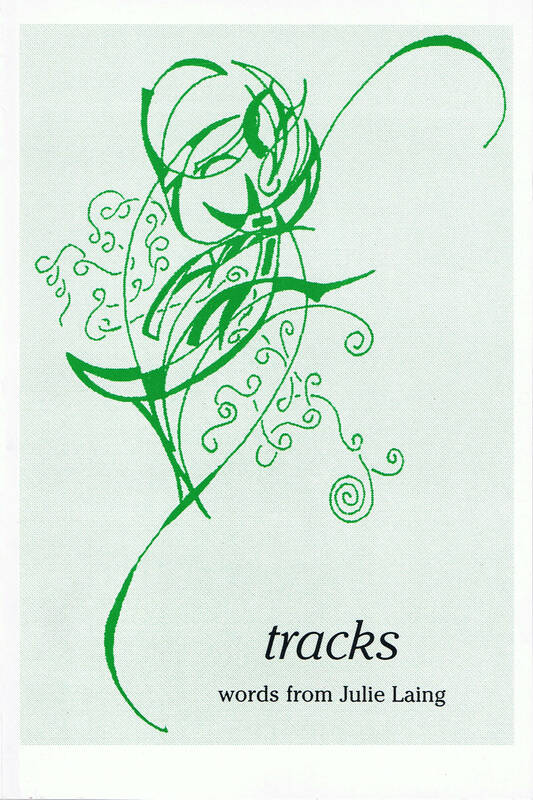 The last copies of Tracks are going quickly, so make sure you have one in your collection. I'm still working on the best online distribution option, so for now please email me if you're interested in a copy. I'm actively seeking publication of some of my newer pieces. You can find out which ones were recently accepted or published on my Published page. Enjoy! Ditch the Dog Our travel blog as we sail from Hawaii to Australia. dVerse ~ Poets Pub A place for poets and writers to gather to celebrate poetry. Jingle Poetry A place for poets who share and encourage. Get Poetry Kalispell's former weekly open mic for poets. Melisse Laing: Art Quilts Think paintings made of fabric. ArtPlatform.org Art with more appeal, promoting artists and supporting charities. Winter Goose Publishing The publisher of Inspiration Speaks. ColaLife.org The charity benefiting from sales of Inspiration Speaks.